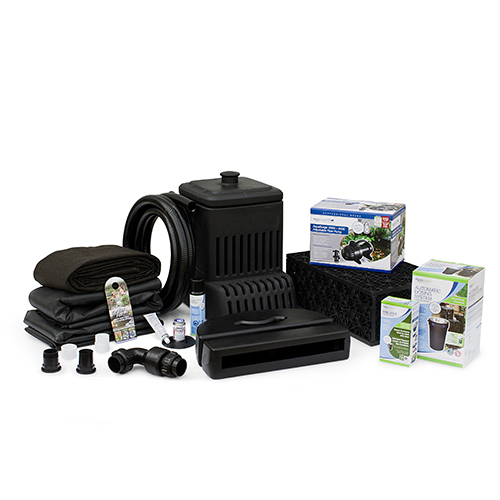 The Aquascape Small Pondless Waterfall Kit comes complete with everything you need to incorporate the sights and sounds of cascading water into your yard or landscape, providing up to a 6 foot Pondless Waterfall. All necessary components are provided in a convenient, all-in-one kit that takes the guesswork out of purchasing individual components. The AquaSurge 2000-4000 Adjustable Flow Pond Pump provides flow rates up to 3,947 gallons per hour and allows the flow rate of the pump to be adjusted wirelessly. The included Pondless Waterfall Vault makes accessing your pump and checking water levels quick and easy and the AquaBlox eliminate the need to fill your basin with large quantities of gravel and stone. The kit also includes the Automatic Dosing System for Fountains with water treatment, automatically adding water treatments to the waterfall when needed.